What Is The Best Non Comedogenic Moisturizer For Your Skin? Finding the best non comedogenic moisturizer is not always an easy task since every individual’s skin is different and a non comedogenic moisturizer that works perfectly for most people may not work equally well for everyone. Of course, one of the first things when looking for a moisturizer like this is not to clog pores, not to trigger breakouts and keep the skin nicely and healthily moisturized. As a natural and organic skin care fun, here I have selected for you some non clogging moisturizers with good quality natural and organic ingredients that have been created especially for prone to blemishes as well as oily or combination skin. Made without pore clogging oils, this Juice Beauty oil free moisturizer provides your skin with essential nutrients to hold in moisture without contributing to acne breakouts. 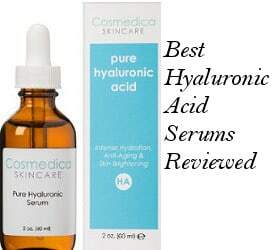 Designed for oily, combination and blemish prone skin but also suitable for normal skin. It’s a lightweight nutrient rich cream. Retains and restores the skin’s natural moisture. Contains no parabens, petroleum, propylene, butylene glycol, sodium lauryl sulfates, pesticides, or artificial dyes and fragrances. Simply moisturize face, neck and decolette twice a day, morning and evening, after cleansing. Reviews and ratings for Juice Beauty Oil Free Moisturizer are exceptionally good with users really feeling that this moisturizer does good things for their skin. Easy on Acne Prone Skin: The vast majority of people who used it reported a decrease in acne breakouts or at the very least, no irritation on their acne prone skin or triggering blemishes. A Little Goes a Long Way: Because this moisturizer is so light, it spreads across the skin easily, making a little of this product go a long way while still moisturizing your skin. 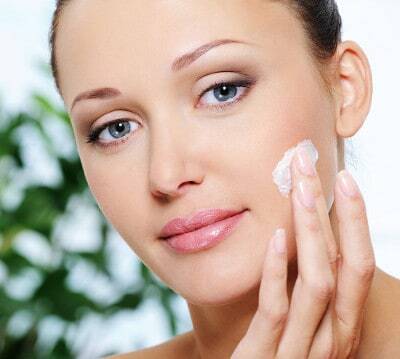 Softer Skin: After using it only for a short period of time, many users reported having a softer complexion. While Juice Beauty Oil Free Moisturizer is designed mainly for oily or combination skin but according to the company is suitable for normal skin as well, users state that it also works wonders for people who have dry skin. Murad has been making skin care products for many years and Murad Skin Perfecting lotion is designed to hydrate and protect your skin without clogging pores or contributing to those acne breakouts. Also, this non comedogenic moisturiser has some anti aging results since it contains Retinol and Soy Flour which protects elasticity and firms complexion. Squalane works to improve skin texture, reduce fine lines and wrinkles as well as heal sun damaged skin. Comes in a 1.7 or 16.9 ounce bottle. Light oil free hydrator soothes and retexturizes complexion. Keeps pores clear, reduced and tight. The Retinol contained restores youthfulness. Algae extract and Queen of Meadow reduce sensitivity and clear pores. Water (Aqua), Dicaprylyl Maleate, C12-15 Alkyl Benzoate, Butylene Glycol, Glycerin, Sorbitan Stearate, Retinol, Caprylic/Capric Triglyceride, Arnica Montana Flower Extract, Epilobium Angustifolium Extract, Palmitoyl Hydroxypropyltrimonium Amylopectin/Glycerin Crosspolymer, Grape Seed Extract, Camellia Sinensis Leaf Extract, Avena Sativa (Oat) Kernel Protein, Hydrolyzed Soy Flour, Spiraea Ulmaria Extract, Honey Extract (Mel), Orange Fruit Extract, Squalane. Use at least once a day after cleansing and toning, if you prefer, face and neck. Goes on Smooth: Most people felt that this lotion went on their skin smoothly without feeling heavy or greasy and that it absorbed well. Reduces Facial Redness and Soothes Eczema: Several users stated that this product actually helps to reduce facial redness and few stated that it regularly helped to soothe eczema. 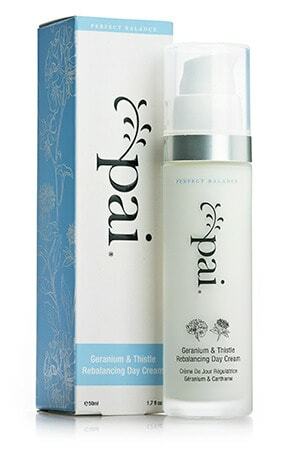 Pai Skincare is a company dedicated to manufacturing products for people with sensitive skin and their non comedogenic Geranium and Thistle Rebalancing Day Cream is no exception. Suitable for combination, oily and sensitive combination skin. 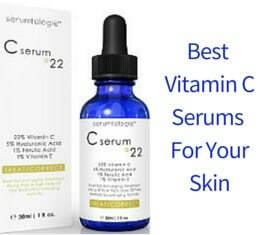 Clears and rebalances oily and T-zone skin. 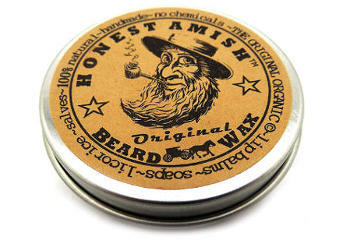 No drying alcohol or pore clogging components including Beeswax. Apply day cream in the morning to a clean face and neck. Reviews and ratings for Pai Geranium and Thistle Rebalancing Day cream are quite positive with most people really liking this organic moisturizer and feeling that it does very good things for their skin. Thick & Smooth: Unlike many non comedogenic creams, this Pai day cream goes on thick and smooth and is quickly adsorbed, leaving skin feeling softer and more moisturized. Calms Acne Prone Skin: Uses find that the cream actually calms their acne prone skin, making them less susceptible to breakouts. Doesn’t Clog Pores: Despite having several ingredients that contain oil, this moisturizing cream doesn’t clog pores and leaves your face feeling clean and hydrated. While not every non comedogenic moisturizer will work for everyone, these three moisturizers should be a good place to start for those whose complexion is prone to blemishes.